Pinnacles. Some basalt outcrops are more heavily fractured than others, and it’s common to find outcrops where the only thing you see is a lot of near vertical cracks. Pinnacles allows you to model these features readily. 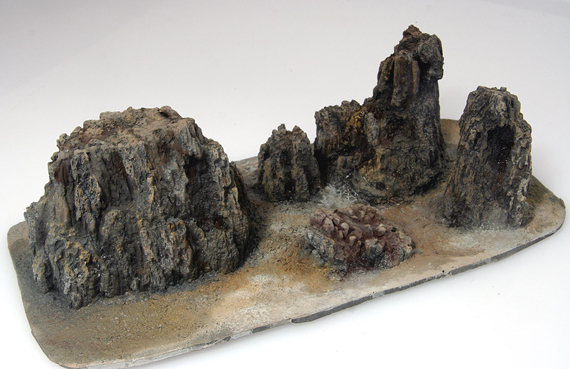 And they’re not just for the small scale modelers, either! Outcrops of this shape occur in all sizes, so Pinnacles is perfect for any scale from Z to G.
Also note that other rock types form outcrops that have these shapes. 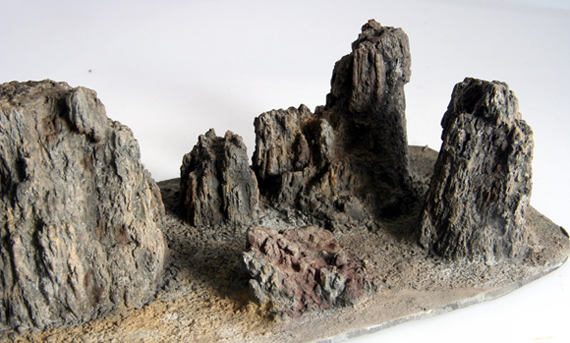 With a few washes of light pink or yellowish brown, you can model lots of other vertical spires of rock, wherever you may find them.